If you’ve worked in SEO long enough, you’ve undoubtedly heard this request. If you’re an in-house marketer searching for an SEO vendor, please don’t make this request. This may seem counterintuitive since product pages are typically your most valuable pages in terms of conversions, but conversion value doesn’t necessarily translate to link-worthiness. For some reason, when it comes to links, we see clients forgetting how their marketing funnels work, focusing solely on bottom funnel pages. 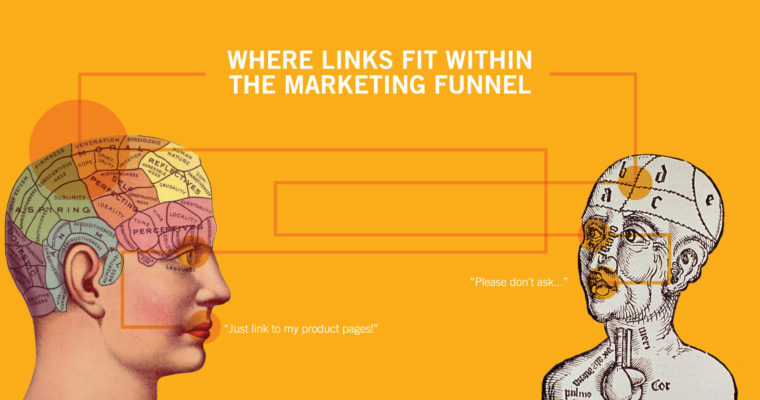 How links fit within the marketing funnel. How to sustainably earn links that feed your entire funnel. The pages on your website serve different purposes and functions, and different pages are meant for different types of visitors. A complete website will feature pages that serve every stage of your marketing funnel – from awareness to purchase – to ensure you’re reaching all your audience and moving them towards becoming loyal customers. Service pages that inform visitors who are considering an SEO vendor. Guides and resources that provide information for visitors who are new to SEO and looking to learn more. You need both types of pages, and everything in between, to meet your audience at their corresponding stages of the funnel. Each of your pages should serve a specific purpose and select portion of your visitors. Not all pages on your site are going to relevant to all users. Because there are pages on your site that aren’t relevant to segments of your own audience, it makes sense that there are also pages that won’t be relevant to the audiences of other sites. 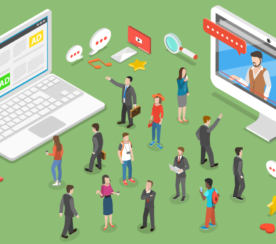 If your page isn’t relevant to another site’s audience, the human that manages that site is never going to link to that page – there is no benefit for them to link. Therefore, some pages are more linkable than others, because they have a broader appeal to larger audiences. Pages with a broader appeal are typically more linkable, and these pages usually live at the top of your marketing funnel. There is usually more search demand surrounding these topics. These types of pages provide inherent value (free information). The lower you go down the funnel, the more specific and smaller an audience you’ll target – more people are searching for [how to mount a TV] than are searching for a specific TV mount model. So, your page about how to safely mount a TV will be relevant to many more websites (link prospects) and their corresponding audiences than your page about a specific mount. From a site manager’s perspective, a page that instructs readers on how to do something is much more useful to their readers than a page trying to sell them a product. Site owners want to link to pages that benefit their audience, and they are much more likely to link to the how-to page because it bolsters their own reputation as a trusted resource. This is why SEOs cringe when a client wants to emphasize their product pages for a link acquisition campaign – securing links to product and category pages isn’t sustainable. However, it’s possible to influence the visibility of these pages by linking internally to them from more link-worthy, top funnel pages. Internal links can pass link equity and topical authority to other pages, and an effective link building strategy will leverage internal links to impact bottom funnel pages. With all that being said, it’s not impossible to earn links to product pages and other pages at the bottom of your funnel. But the problem is that these opportunities are very limited, and you can not sustain a long-term link building campaign with mid and low-end funnel pages. To better understand why link opportunities dissipate the further down the funnel you go, I’ll share some examples of the different opportunities at each stage. 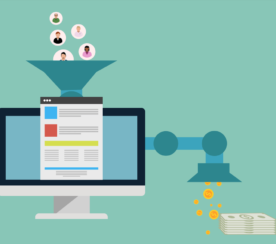 While most link opportunities exist for top funnel content, it is possible to earn a handful of links for mid and bottom funnel pages. Consider the different types of content you have at each stage of the funnel and think about how large the potential audience might be for those pages. If you’re unsure of which pages fit where in your funnel, check out this helpful guide from HubSpot on creating content for each stage of the buyer’s journey. Here are some of the common opportunities available for each type of page. Mid funnel pages address the consideration stage of the funnel and usually reference your products or services, but more in the sense of their application rather than describing their features. You have no control over mentions as these opportunities are completely reliant on other people talking about your brand. These pages often involve affiliate partnerships and won’t link to non-affiliates. Again, reliant on product or service recognition and popularity. Typically tied to affiliate programs. Contextual depending on industry and not deeply scalable because you’re limited by location. Limited opportunities for quality directory listings – is there a section of the directory that is topically relevant to your page? Are people visiting the directory? Is it indexed? Does it cost money to be listed? 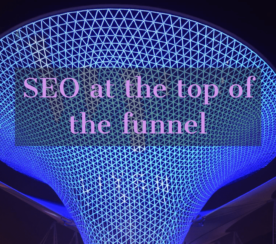 It’s possible to secure links to mid and lower-end funnel pages on your website, but the further down the funnel you go, the narrower your audience becomes and subsequently, link opportunities become much more limited. A complete SEO strategy aims to influence the overall visibility of your site, helping your potential customers find your website in search. All pages won’t rank for all things, but strategic SEO helps you identify search intent – and what stage of the funnel they’re at – and matches those searches with your corresponding content. Additionally, a comprehensive SEO strategy will inform content creation to ensure you’re addressing your entire funnel and audience. Since links are such a powerful ranking factor, we often see clients assume that they must link directly to their product pages to rank those converting pages. However, targeting top funnel pages, which have far more link opportunity, and then leveraging internal links from those pages is a much more sustainable link acquisition strategy for impacting rankings of bottom funnel pages.